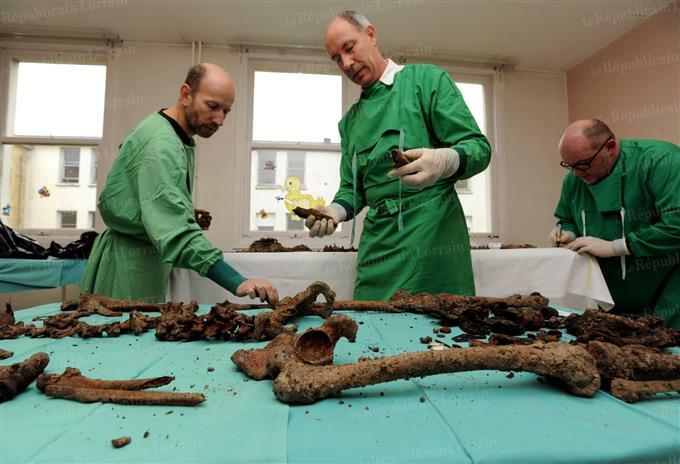 NEPAL – Lumbini - A joint excavation carried out by the Department of Archaeology and Lumbini Development Trust this year found strong evidences that Lord Gautam Buddha’s maternal uncle’s house might be located at Panditpur of Banjariya VDC, Nawalparasi, not Rupandehi’s Debdaha VDC. Himal Upreti of Department of Archaeology at Lumbini Development Trust, said preparatory work on the report of recent evidences was going on. He said the latest excavation at Panditpur of Banjariya VDC shows Buddha’s maternal uncle’s house could be located at Panditpur not at Rupandehi’s Debdaha. Work to determine the capital of then Koliya state where the parental homes of Buddha’s mother Mayadevi, step mother Prajapati Gautami and wife Yasodhara are located has been under way at Bhawanipur of Kerbani in Rupandehi, Kanyamai of Debdaha, and Nawalparasi’s Panditpur, for the past few years. The third excavation at Panditpur shows evidences of Buddha’s palace at Panditpur, which was contemporary to ancient Tilaurakot palace. Upreti said they have found red, black and brown earthen vessels, wells and idols dating back to third century BC at Panditpur. “We have also excavated cultural deposits that show Panditpur was contemporary to Tilaurakot,” Upreti added. Panditpur borders Rupandehi and Nawalparasi districts. Upreti says they had failed to excavate levels that showed cultural deposits in Bhawanipur and Kanyamai areas even though they had carried out the excavation twice. “Only materials of the Gupta era were found in these areas,” Upreti said. A source at the Department of Archaeology said the artefacts would be verified after another excavation at Panditpur next year. The department is preparing a plan to conduct in-depth research next year. Remains of the security wall of Buddha’s palace, well, and gate, among others, were found at Tilaurakot. 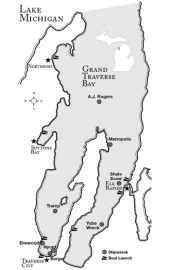 USA – Grand Traverse Bay - Shipwrecks – The holy grail for divers and nautical archaeologists, shipwrecks can be found in abundance on Lake Michigan's murky floor. Locally, popular dive spots include the Metropolis schooner south of Old Mission Point, the tugboat The Tramp off Power Island and the towering freighter Francisco Morazon off South Manitou Island. Using newly acquired sophisticated sonar equipment, NMC students recently mapped the bay's floor in high resolution, providing the first new bottom maps in 80 years. Among the discoveries of their hydrographic survey was the 1906 tugboat Lauren Castle, resting near Suttons Bay (of the more than 200 shipwrecks that have been documented by Mission Point Lighthouse keepers, only three have been discovered to date). Among the vessels haunting the bay that have yet to be located: remote-controlled drones from World War II, according to Holley. Prehistoric Artifacts – Holley made a splash in the national scientific community in 2007 when he discovered a series of stones set in a circle 40 feet underwater in Grand Traverse Bay. One stone in particular stood out: It appeared to bear faint man-made carvings resembling a mastodon, an animal that went extinct 10,000 years ago. If authenticated by experts – a process Holley and his colleagues are still waiting on – the markings would constitute an ancient petroglyph, an invaluable historic find. Other ancient Native American artifacts and settlements are still likely to be uncovered in the bay, Holley notes. That's because 8,000 years ago, the bay didn't exist – in its place instead was a valley, a probable home to human settlers. FRANCE - Fleury-devant-Douaumont - Vingt-six corps, en tout, ont été retirés du site meusien de Fleury-devant-Douaumont dans la Meuse. Sept ont été identifiés. Une découverte exceptionnelle. Jeudi soir, la mini-pelle butait sur de gros blocs de pierre (lire RL d’hier). Des blocs provenant de la voûte effondrée de la cave d’une ferme aujourd’hui pulvérisée par les combats du milieu de l’année 1916. Hier à 9h, il s’agissait d’aller voir derrière ces blocs afin de s’assurer que d’autres corps ne s’y trouvaient pas. Dans un premier temps, la pelle mécanique n’a rien révélé. Puis des débris d’ossements ont été retirés de la glaise collante. Enfin, un porte-monnaie de cuir révéla la présence d’une croix de guerre 14-15 dont le module était bien replié sur le ruban. Une pièce rare. Tout au long de la journée, d’autres corps de Poilus ont été retirés du site d’à peine quelques mètres carrés. Un crâne entier a même été mis au jour en fin d’après-midi. En tout, sept soldats ont été identifiés. Petit à petit, des hypothèses de plus en plus précises. Il se pourrait « que l’on soit à proximité d’un petit hôpital de front ». Soit, ces soldats seraient arrivés morts à cet endroit ou seraient morts, là, des suites de leurs blessures. Soit il s’agit d’une morgue provisoire à proximité d’un poste de secours.